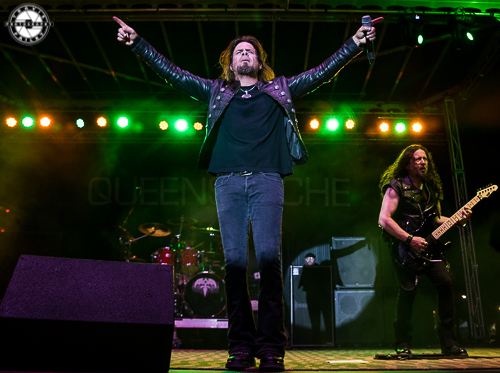 KNAC.COM - Reviews - QUEENSRYCHE In St. Petersburg, FL With Photos! 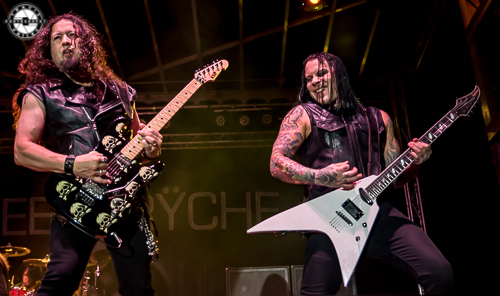 QUEENSRYCHE In St. Petersburg, FL With Photos! 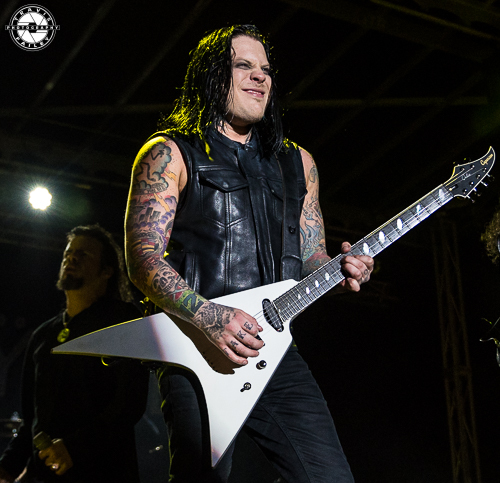 The 2017 Bike Fest continued on Saturday Night at the Tradewinds on Saint Pete Beach as QUEENSRYCHE performed on a stage with its base being in the sand. 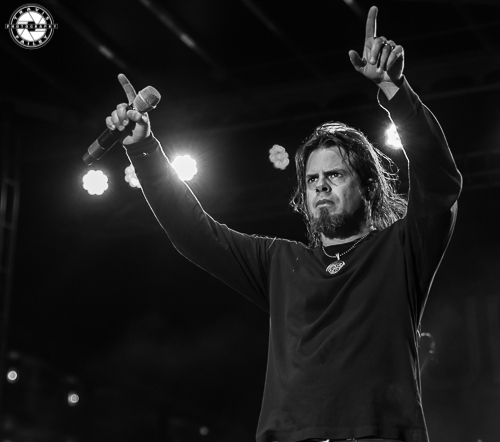 The venue was a strange one for the men from Seattle with one exception, vocalist Todd La Torre is a Florida native and still lives 15 minutes from the shoreline. 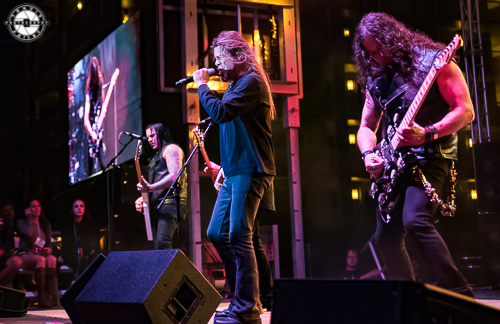 As the only act of the evening, QUEENSRYCHE took the stage in front of not only the bikefest attendees and VIPs but anyone else who wanted to see the show in the sand as free entry was available on the outside perimeter. Drinks were flowing all day long and late into the night as a few thousand people took part in the evening's metal festivities. 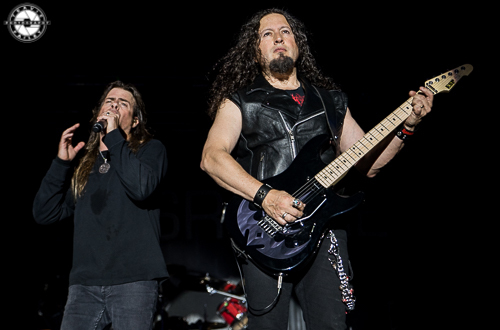 QUEENSRYCHE opened with "Guardian" from their last release Condition Human. 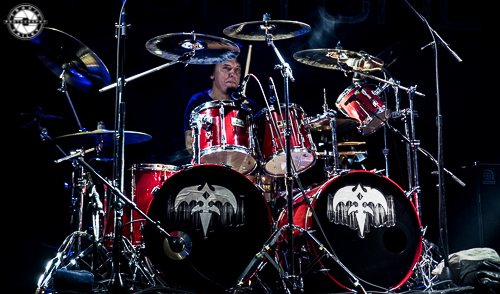 "Guardian" was the only song from the two Todd La Torre albums as they focused on their more recognizable songs as most bands do when they are not playing to their base crowd. There were two exceptions to this with QUEENSRYCHE going back to their Rage For Order album. They played 2 deep cuts in "Screaming In Digital" and "Surgical Strike" with "Surgical Strike" only being played live 8 times in 2017 and only twice since 2009. 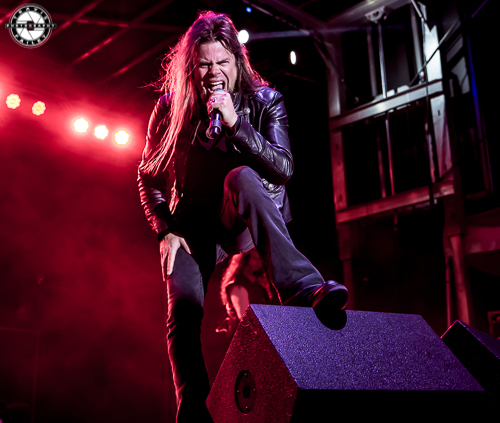 The rest of the set was a balanced variety of QUEENSRYCHE's first five albums with "Damaged" being the only track from the Promised Land album. One of the highlights of the night was when La Torre dedicated "Silent Lucidity" to Malcolm Young from AC/DC who passed away earlier in the day. Tampa native Casey Grillo surprised the local BikeFest patrons by playing drums with the band as founding member Scott Rockenfield is on paternity leave. 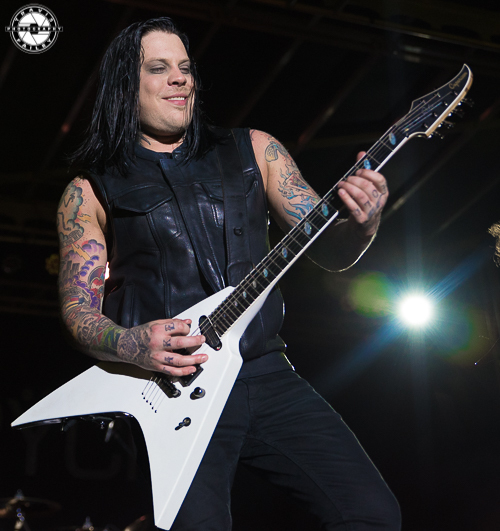 Grillo, 41, provided another spark of youth to the group as has guitarist Parker Lungren. 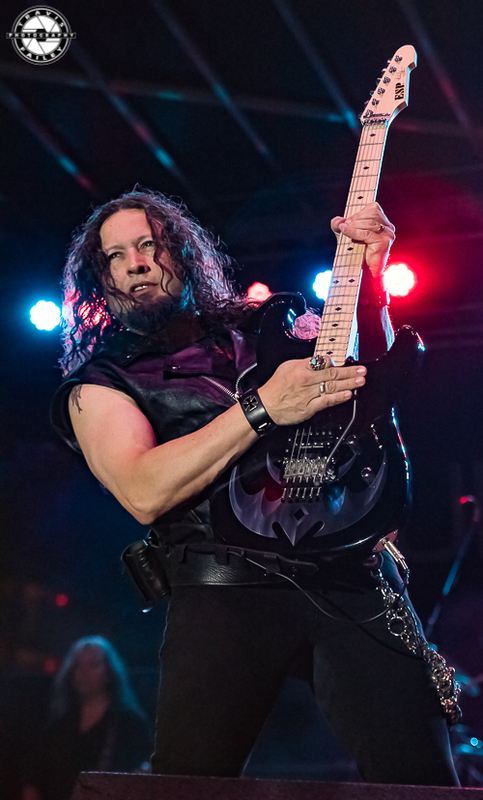 Lungren is the youngest in the band at 30 and was only 22 when he replaced Mike Stone after Kelly Gray replaced original guitarist Chris Degarmo. 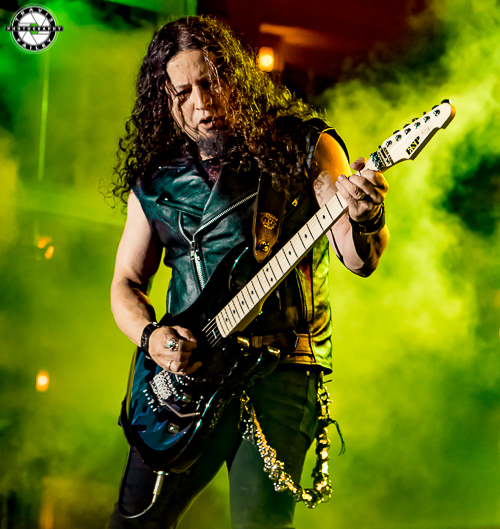 Yes, the 2nd guitar slot has been a bit of a revolving door after Degarmo but Lungren has stopped it from swinging and is now entrenched in QUEENSRYCHE and that's a good thing for the band and the fans. 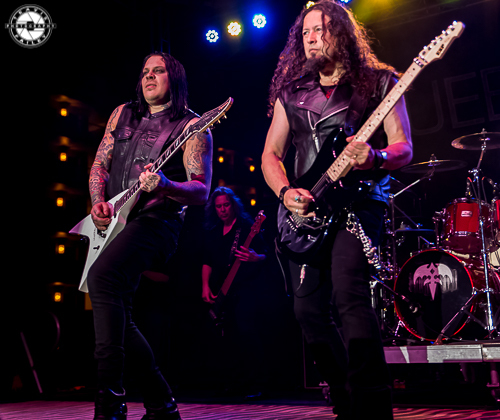 The chemistry between Lundgren and founding guitarist Michael Wilton is palpable as they interacted throughout and swapped lead guitar parts especially during "Queen Of The Ryche" from their 1983 debut EP. Arguably their second biggest hit "Jet City Woman" and fan favorite "Take Hold Of The Flame" finished the 13 song pre-encore set. The band took a brief break before concluding the night with two monster songs from Operation Mindcrime: “Revolution Calling” and “Eyes Of A Stranger” with “Screaming In Digital” sandwiched between the two. 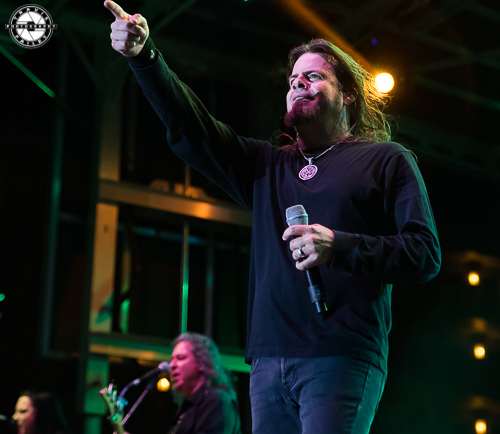 It was during the encore that Todd La Torre’s vocal prowess was on display and for someone without any formal training, it is amazing how well he is able to pull off QUEENSRYCHE’s early catalog. La Torre also told me in an interview earlier in the day that he had a head cold but you couldn’t hear any issues during his performance. 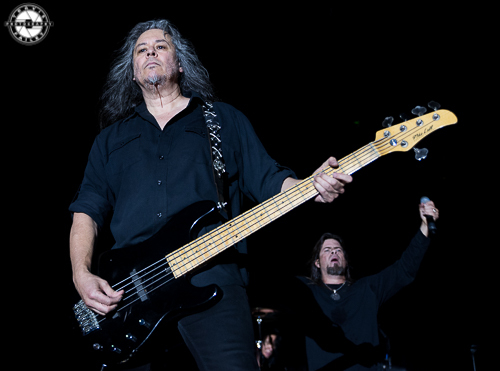 After seeing the band for the 4th time since La Torre became the frontman, and even with Grillo filling in on drums, it looks and sounds like the band is tighter than ever. Listening to the attendees' comments as they departed the beach, compliments regarding QUEENSRYCHE’s performance were plentiful. 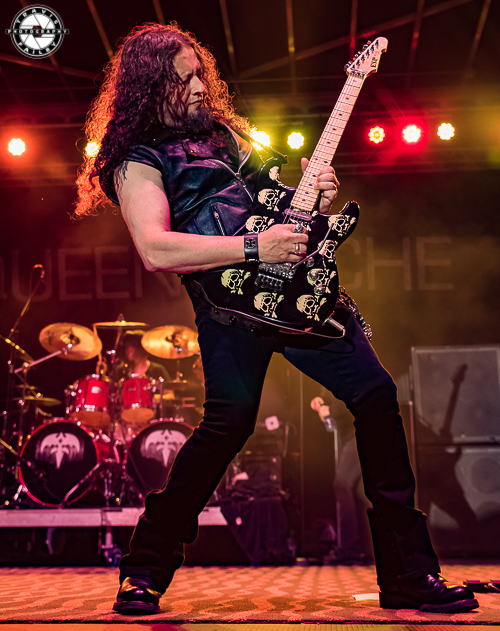 With a new album and tour coming soon in 2018, QUEENSRYCHE is primed once again to tell the world that a Revolution…. is Still Calling.